Founded in 1952, ANA (All Nippon Airways) is Japan’s leading airline currently serving 72 international routes and 115 domestic routes with a fleet of 242 aircraft. ANA has been a member of the Star Alliance since 1999 and offers the joint ventures with United Airlines on the trans-Pacific and Asia routes and with Lufthansa, Swiss International Airlines and Austrian Airlines on the Japan=Europe routes. 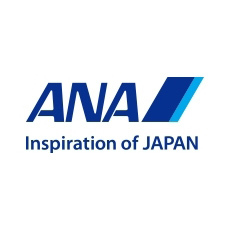 ANA is the launch carrier and the biggest operator of the Boeing 787 Dreamliner and was awarded the 2013 Airline of the Year by Air Transport World Magazines and a 5-star rating in 2013 and 2014 by SKYTRAX, the world’s leading airline and airport review site. In North America, ANA operates out of 9 gateways: Los Angeles, Washington DC, San Francisco, Honolulu, New York, Chicago, Seattle, San Jose and Vancouver. Experience the utmost Japanese hospitality with ANA. Private rates just for TiE members: Just search for your flight on the ANA website.